Almonds, walnuts and flax seeds make this milkshake extremely nutritious and a great pre workout drink. It'll give you an instant energy boost and one you'll really enjoy drinking. 1.Grind the almonds walnuts and flax seeds together. 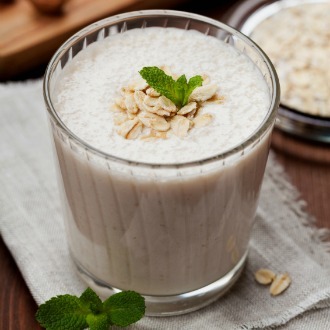 2.In a blender, mix the almonds, flaxs seeds, cold milk, honey and saffron. Revealed: Here's The Recipe For Malaika Arora Khan's Daily Detox Green Smoothie! Smoothies Vs Milkshake: What's Your Choice?